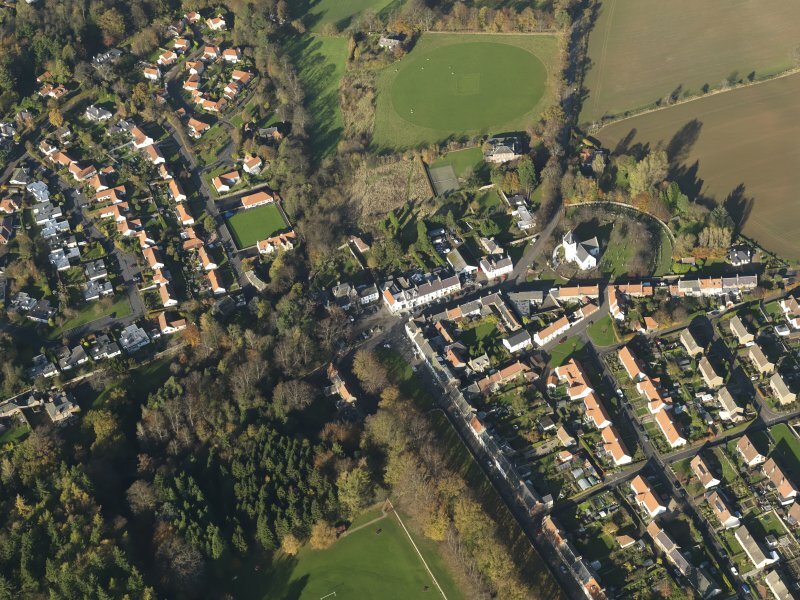 Oblique aerial view centred on the village, taken from the WSW. 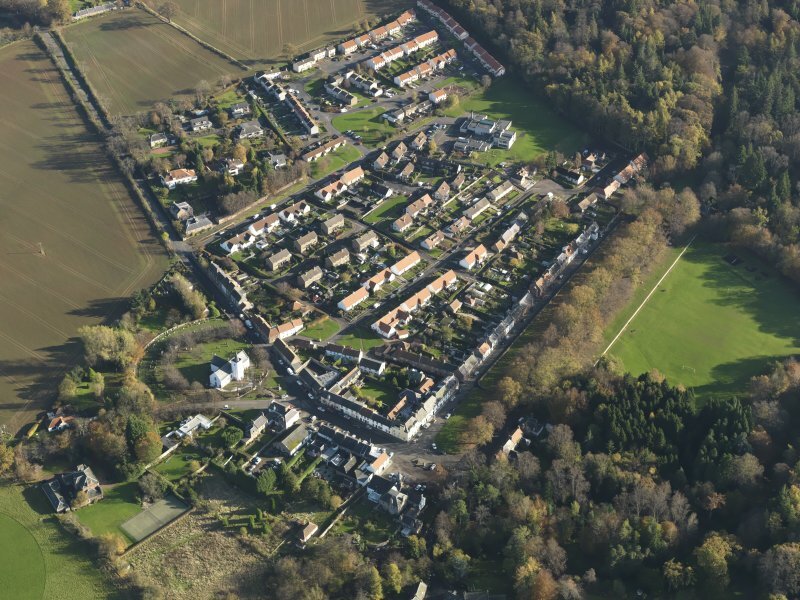 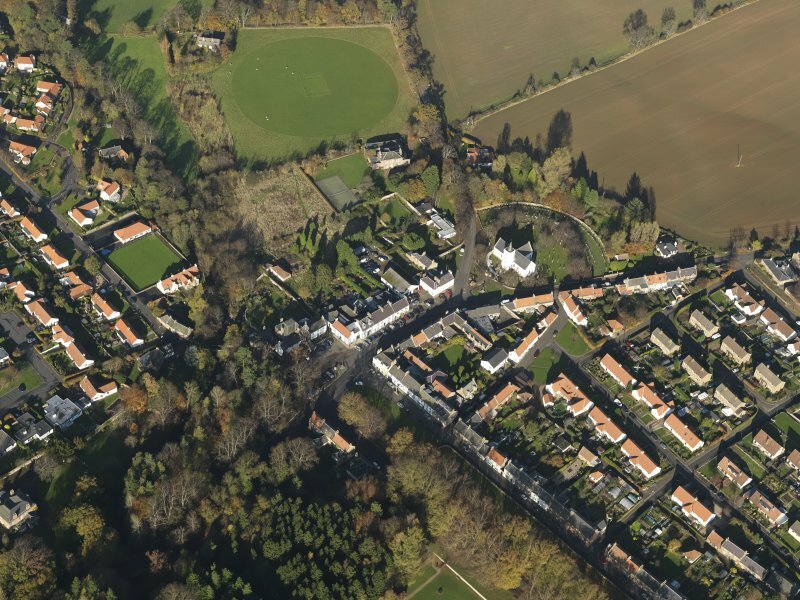 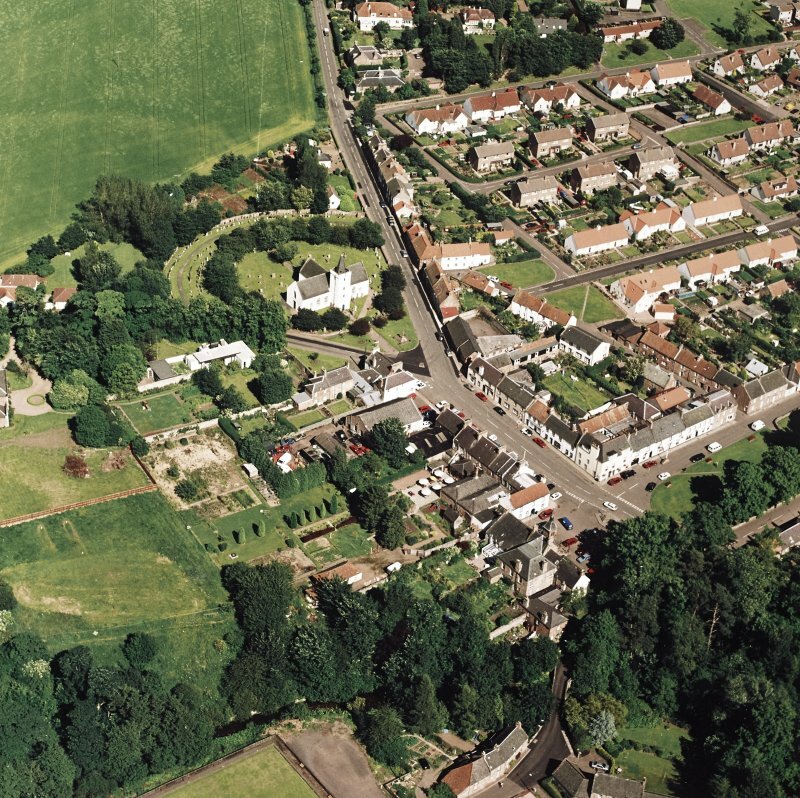 Oblique aerial view centred on the village, taken from the SSW. 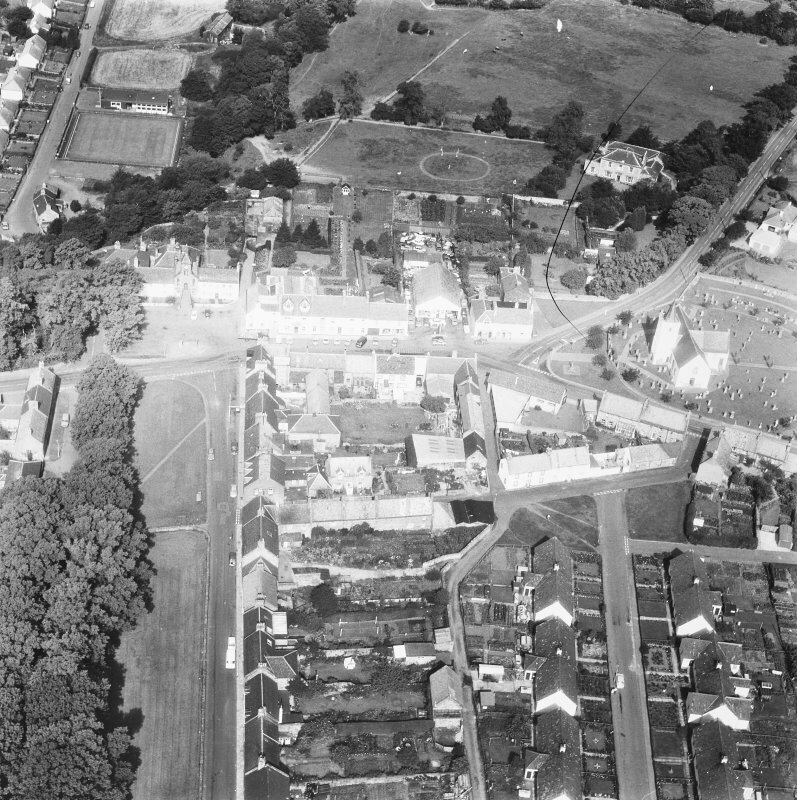 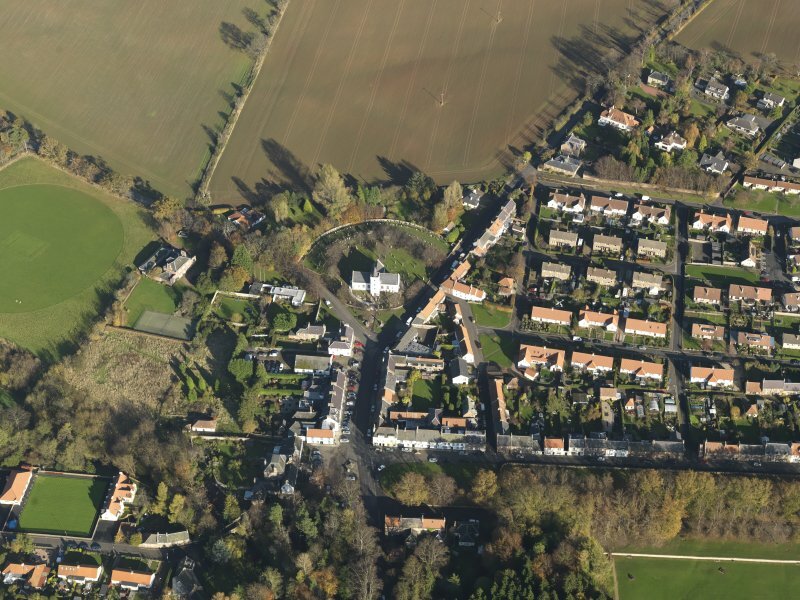 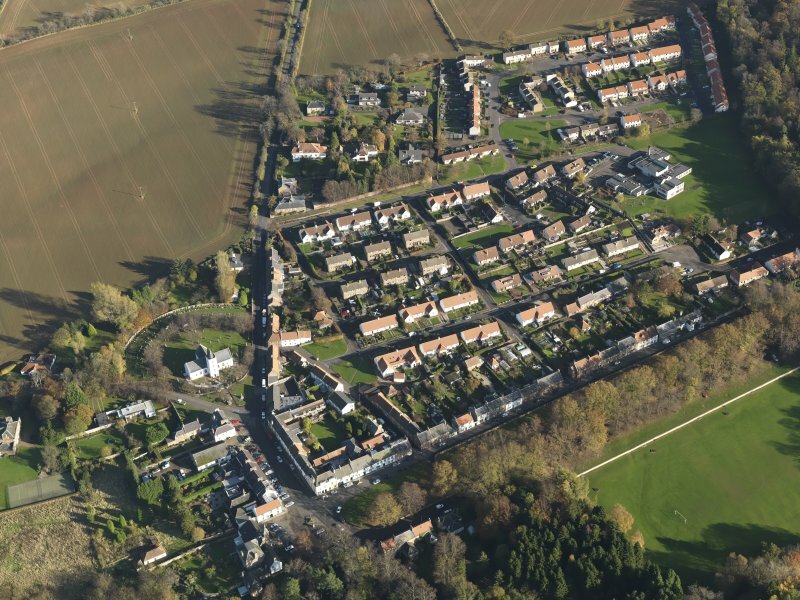 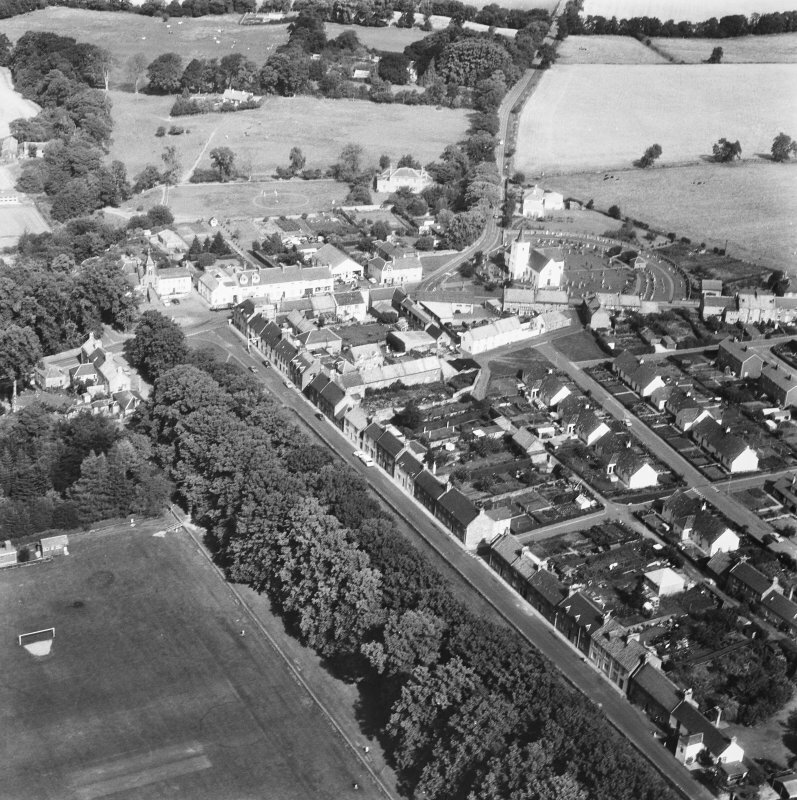 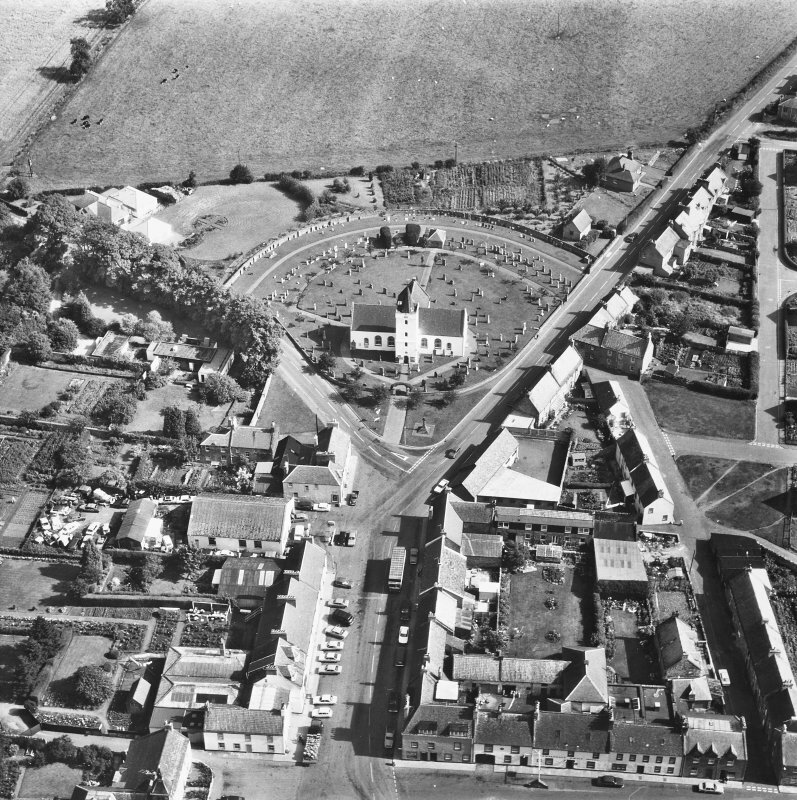 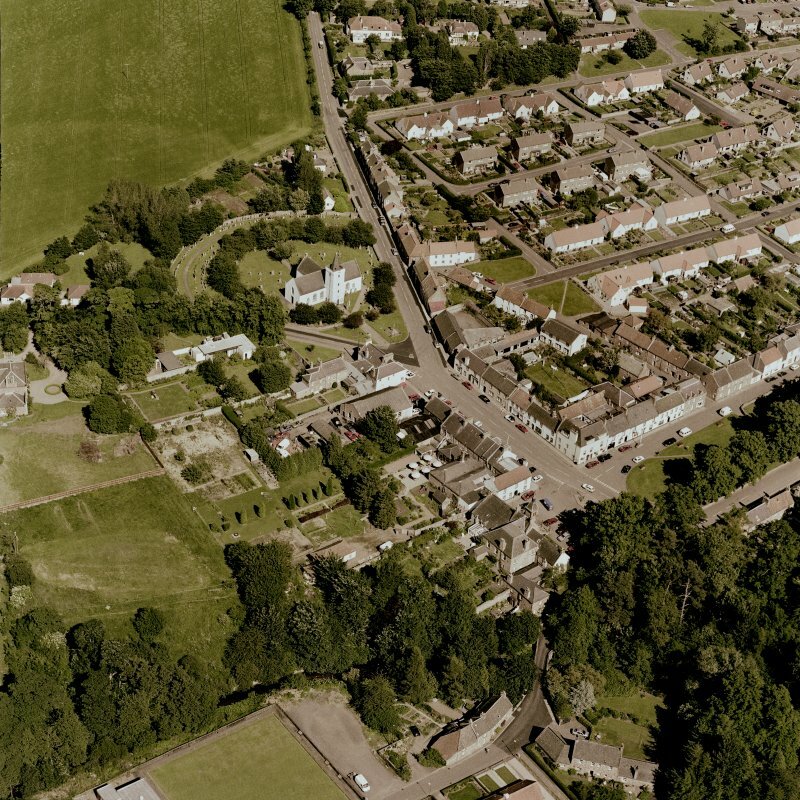 Oblique aerial view centred on the village, taken from the SW.
General view from Church street. 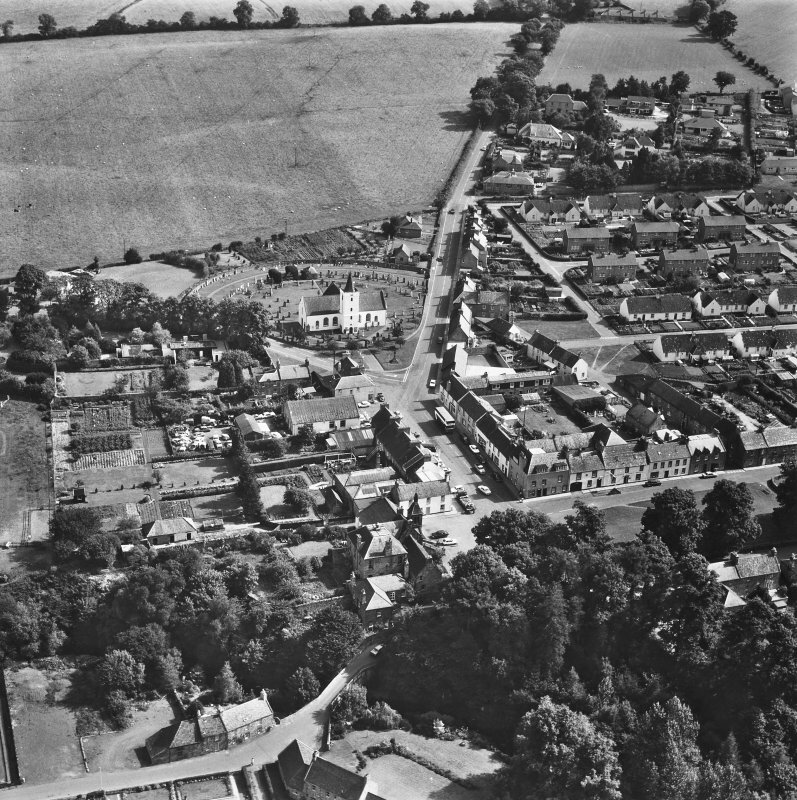 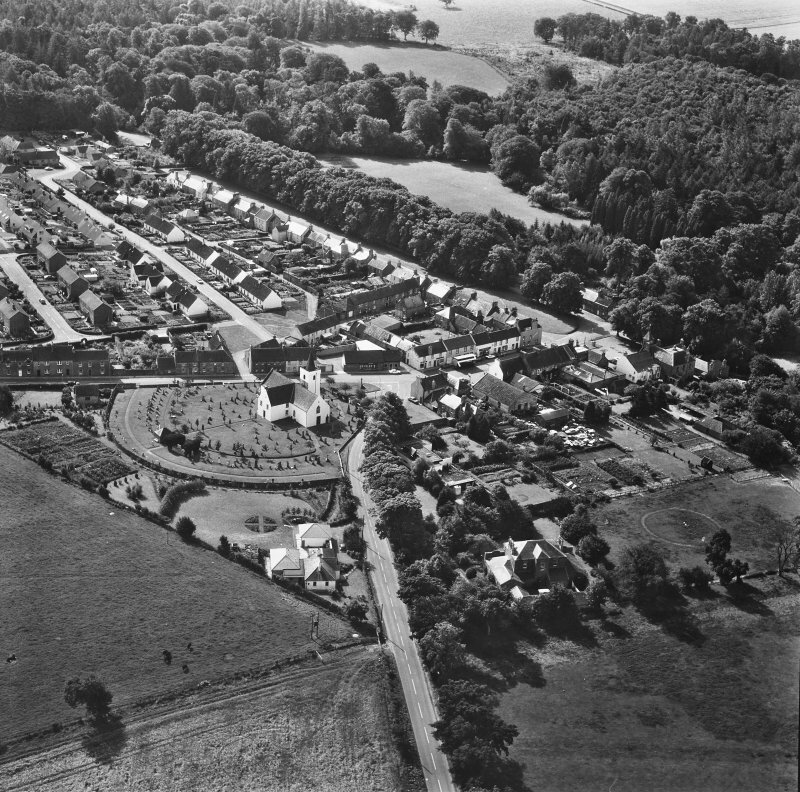 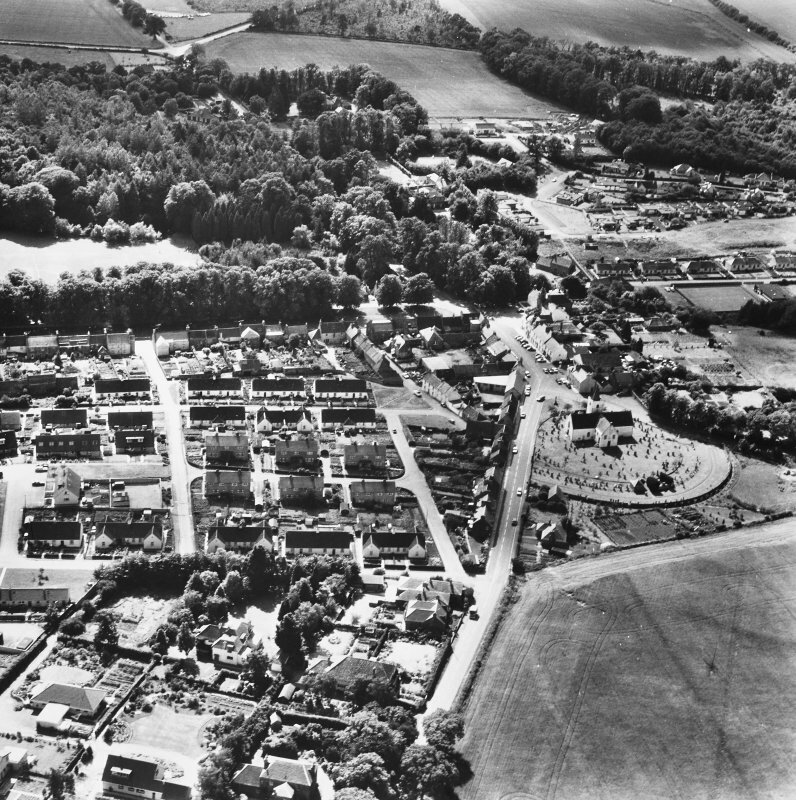 Oblique aerial view centred on the village, taken from the S.
For (predecessor) St Bathan's Church (NT 54457 67131), see NT56NW 4. 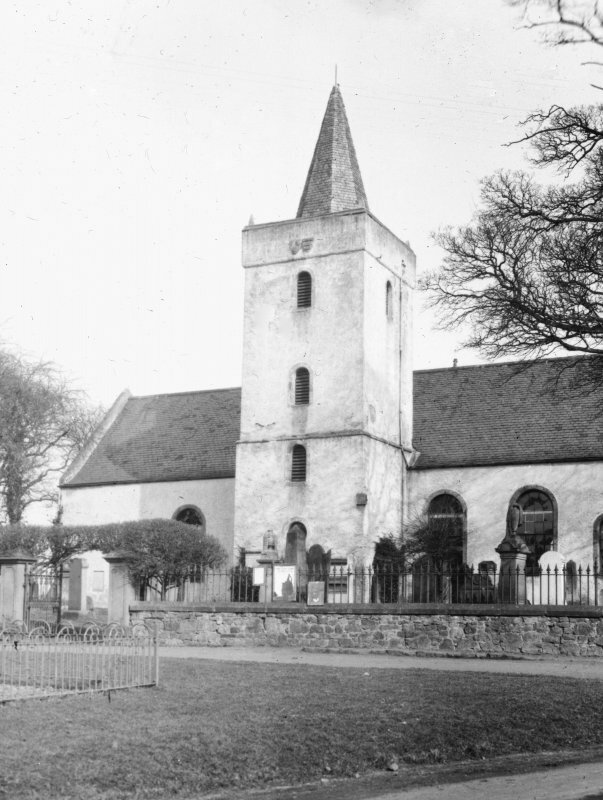 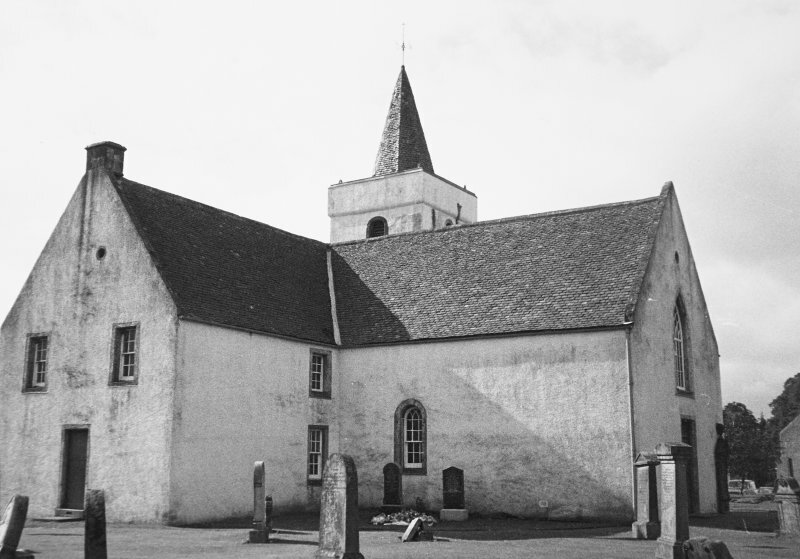 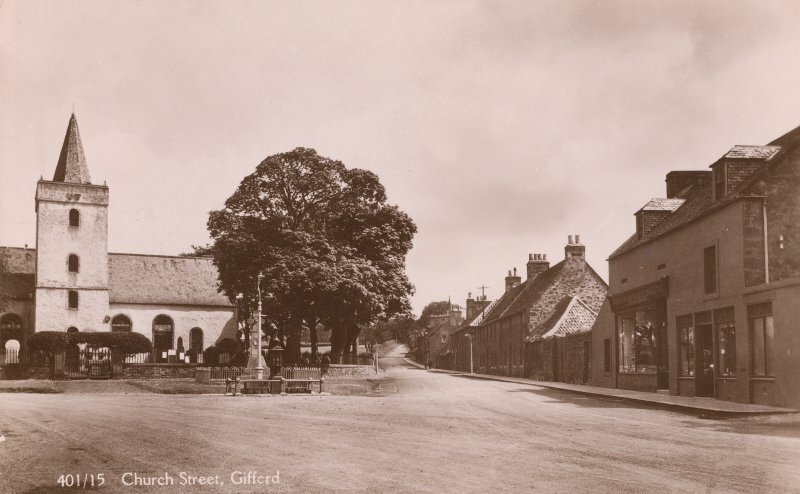 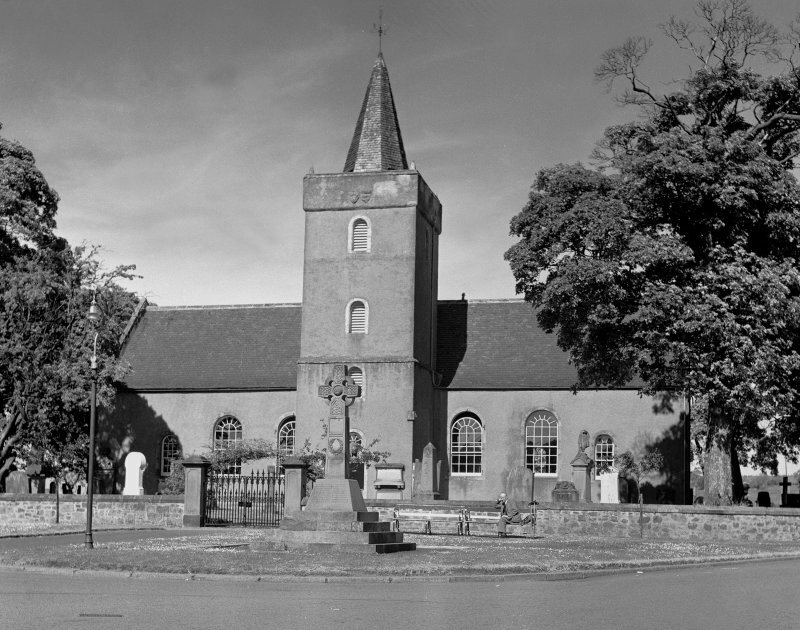 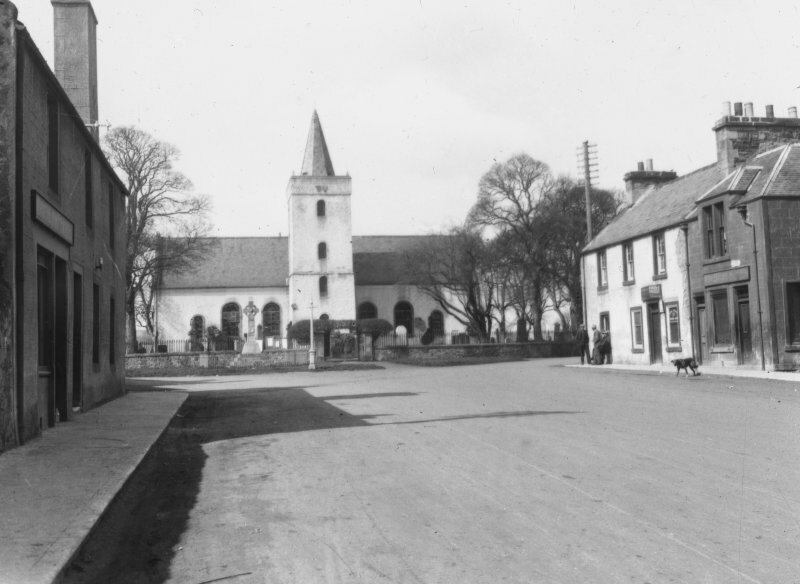 Gifford Parish Church was completed in 1710, superseding that at Bothans (NT56NW 4). 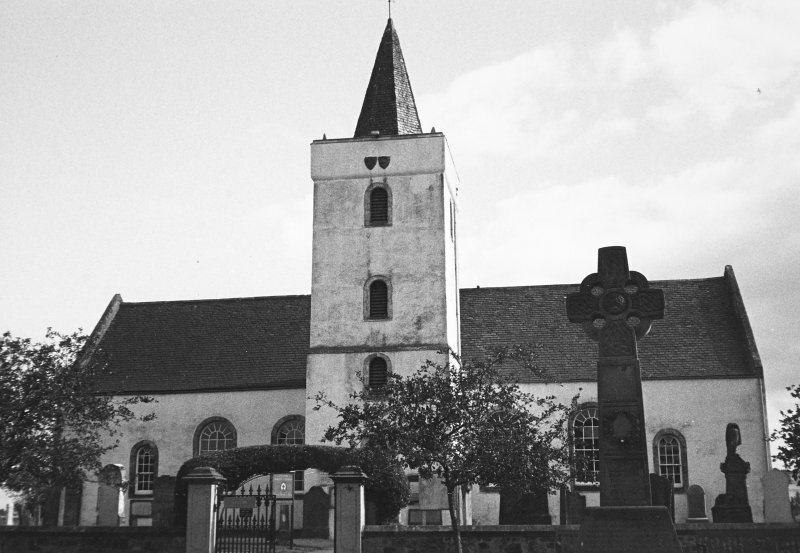 Within it are preserved several pieces of ecclesiastical furniture removed from the old church. 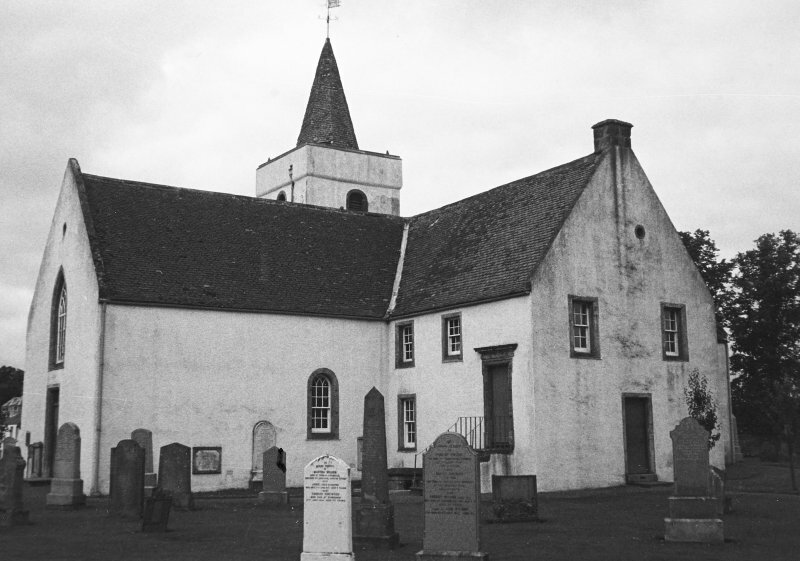 This church is still in use. 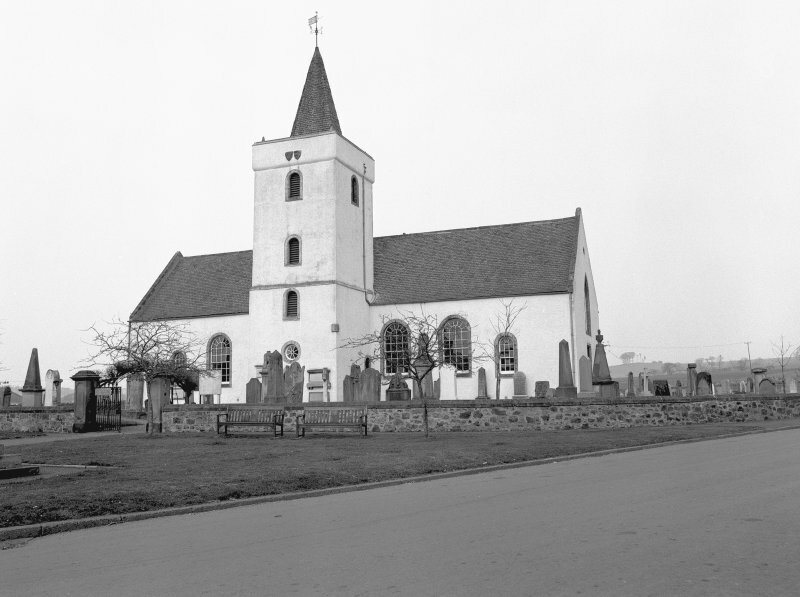 Visited by OS (BS) 22 July 1975. 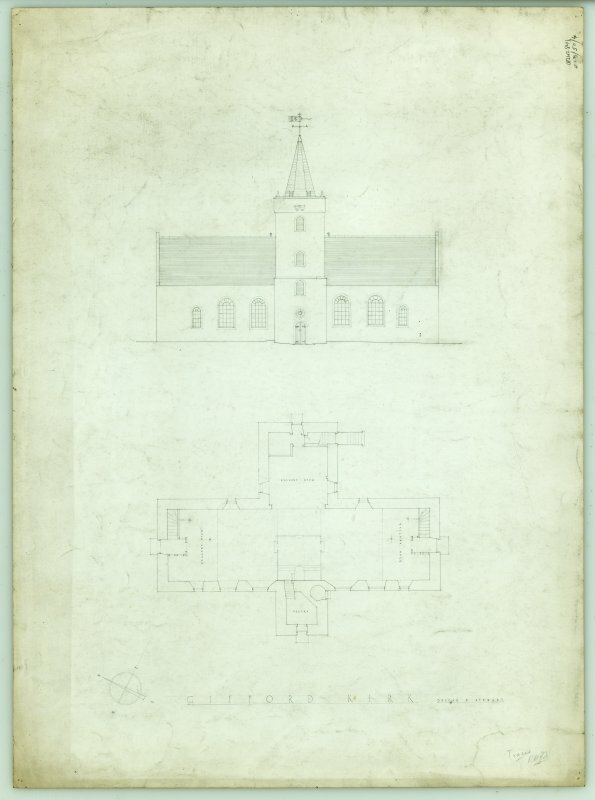 The National Library of Scotland, Edinburgh, contains, among the 'uncatalogued MSS of General Hutton', and numbered 40, vol 1, a Ground Plan of the old church of Yester, South of Gifford, signed Dunfermline, Decr. 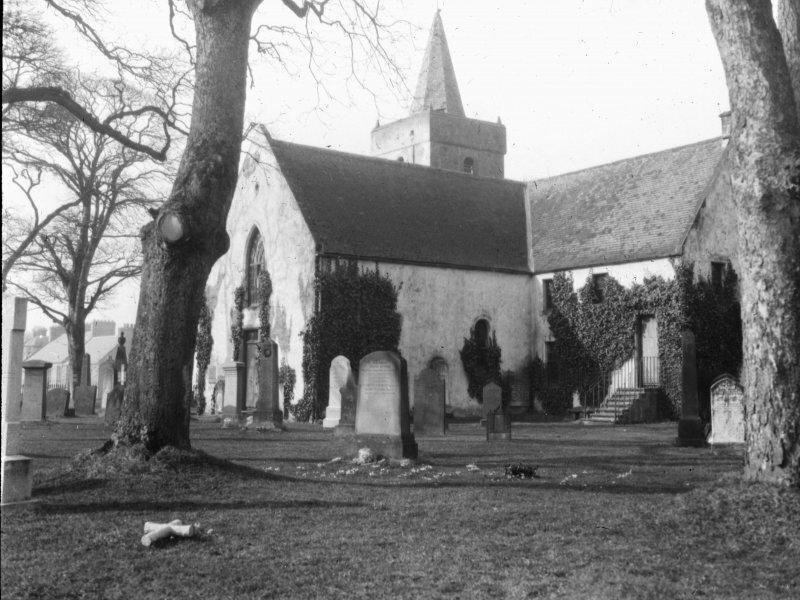 1817, by A Morton.